The Ministry of Information (MOI), headed by the Minister of Information, was a United Kingdom government department created briefly at the end of the First World War and again during the Second World War. Located in Senate House at the University of London during the 1940s, it was the central government department responsible for publicity and propaganda. In the Great War, several different agencies had been responsible for propaganda, except for a brief period when there had been a Department of Information (1917) and a Ministry of Information (1918). 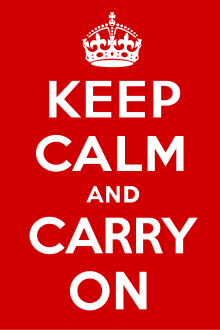 Keep Calm and Carry On, a poster produced by the MOI in 1939 which, although printed and distributed, was never posted. The Ministry of Information (MOI) was formed on 4 September 1939, the day after Britain's declaration of war, and the first Minister was sworn into Office on 5 September 1939. The Ministry’s function was ‘To promote the national case to the public at home and abroad in time of war’ by issuing ‘National Propaganda’ and controlling news and information. It was initially responsible for censorship, issuing official news, home publicity and overseas publicity in Allied and neutral countries. These functions were matched by a responsibility for monitoring public opinion through a network of Regional Information Offices. Responsibility for publicity in enemy territories was organized by Department EH (later part of the Special Operations Executive). Secret planning for a Ministry of Information (MOI) had started in October 1935 under the auspices of the Committee of Imperial Defence (CID). 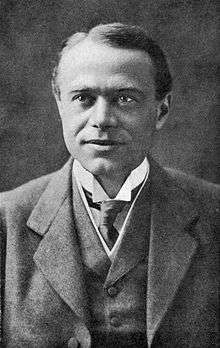 Draft proposals were accepted on 27 July 1936 and Sir Stephen Tallents was appointed as Director General Designate. Tallents drew together a small group of planners from existing government departments, public bodies and specialist outside organizations. The MOI’s planners sought to combine experience gained during the First World War with new communications technology. Their work reflected an increasing concern that a future war would exert huge strain on the civilian population and a belief that government propaganda would be needed to maintain morale. However it was hindered by competing visions for the Ministry, a requirement for secrecy which disrupted the making of key appointments, and the reluctance of many government departments to give up their public relations divisions to central control. The shadow Ministry of Information came into being briefly between 26 September-3 October 1938 after the Nazi annexation of the Sudetenland (German occupation of Czechoslovakia) heightened international tensions. The seventy one officials who were assembled in temporary accommodation had responsibility for censoring press reports surrounding the Munich Agreement. The week-long experiment was not regarded as a success. Instead it highlighted the extent to which questions over appointments, accommodation, links to the media and the relationship with other government departments had been left unresolved. The confusion had been made worse by tensions between the shadow MOI and the Foreign Office News Department. This tension spilled over into the Committee for Imperial Defence which considered proposals to abandon plans for the Ministry of Information. Tallents left his post as Director General Designate on 2 January 1939 (with responsibility for the MOI assumed by the Home Office). Planning efforts would increase again after Nazi troops moved into Prague on 15 March 1939 (German occupation of Czechoslovakia). The British Prime Minister Neville Chamberlain publicly announced his government’s intentions for the MOI in a parliamentary speech on 15 June 1939. Home Office officials were privately given until 31 December 1939 to complete their plans. The Ministry of Information (MOI) was formed on 4 September 1939, the day after Britain's declaration of war, and Lord Macmillan was sworn in as its first Minister on 5 September 1939. 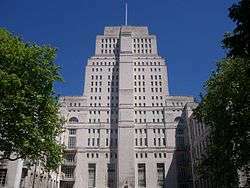 The MOI’s headquarters were housed within the University of London's Senate House and would remain in place until the end of the war. The MOI was initially organized in four groups. A ‘Press Relations’ group was responsible for both the issue of news and censorship. A ‘Publicity Users’ group (split into ‘foreign’ and ‘home’ sections) was responsible for propaganda policy. A ‘Publicity Producers’ group (split according to media) was responsible for design and production. These were overseen by a ‘Co-ordination and Intelligence’ group responsible for administration. This structure had only been finalized in May–June 1940 and senior officials were often unsure about their responsibilities. The press reacted negatively to the MOI. Initial confusion between the MOI and service departments led to accusations that the MOI was delaying access to the news and a newspaper campaign against censorship. Other commentators pointed to the ministry’s large staff and satirized it as ineffective and out of touch. The MOI’s first publicity campaign also misfired with a poster bearing the message ‘Your Courage, Your Cheerfulness, Your Resolution, Will Bring Us Victory’ criticized for appearing class-bound. These factors led to political scrutiny and resulted in the removal of the Press Relations Group on 9 October 1939 (which became an autonomous Press and Censorship Bureau) and an announcement on 25 October 1939 that the MOI’s staff was to be cut by a third. Lord Macmillan was replaced as Minister by Sir John Reith on 5 January 1940. Reith sought to improve the MOI’s governance, expanded its network of Regional Information Offices and introduced a Home intelligence division. He also sought to secure the reintegration of the Press and Censorship Division in the belief that the decision to separate this function had been ‘obviously and monstrously ridiculous and wrong’. These changes were announced by Neville Chamberlain on 24 April 1940 but were not fully operational until June 1940. Neville Chamberlain’s resignation and replacement by Winston Churchill on 10 May 1940 resulted in Reith’s sacking and the appointment of Duff Cooper. Cooper was closely allied to Churchill and had openly criticised the previous government’s approach. Nazi advances in Western Europe encouraged the Ministry of Information (MOI) to increasingly focus on domestic propaganda after May 1940. A Home Publicity Emergency Committee was set up to issue public instructions about air raids, parachute raids and what to do in the event of an invasion. Concurrent campaigns extolled the public to ‘Avoid Rumour’ and join a ‘Silent Column’ so that they would avoid passing information to spies. However, as the situation stabilized, these campaigns were increasingly criticized for treating the public with contempt. The MOI was subject to further criticism in July 1940 when it was accused of using ‘Gestapo’ tactics to spy on the British public. Popular newspapers seized on reports about MOI-sponsored opinion polling and denounced the department’s staff as ‘Cooper’s Snoopers’. Home intelligence reports recorded complaints from those who felt that the British state was ‘becoming dangerously akin to the one we are fighting’. The cost of such activities was also queried in Parliament. Cooper was forced to confront further questions regarding the news and was dogged by accusations that he wanted to enforce a system of compulsory censorship. His failed attempt to increase the MOI’s control over public relations divisions in other departments also drew him into conflict with Churchill. After two months of internal wrangling, it was reported that Cooper was to be replaced as Minister by Brendan Bracken on 17 July 1941. The Ministry of Information (MOI) settled down during Brendan Bracken’s tenure. Supported by Winston Churchill and the press, Bracken remained in office until after Victory in Europe Day. One of Bracken’s main achievements was to promote a closer working relationship with other government departments. Plans to increase control over public relations divisions in other departments were duly dropped and closer co-operation sought in their place. Bracken’s experience as a newspaper proprietor encouraged a similar approach with regard to the press and he maintained that the MOI should not impinge upon the right to free speech. Bracken was keen to promote a more limited role in the field of domestic propaganda. He insisted that the MOI should stop ‘lecturing’ the public and publicly questioned its ability to ‘stimulate British Morale’. The MOI was instead encouraged to provide background information to particular events whilst providing technical support to other departments. Bracken also insisted that the MOI should be dissolved at the end of the war with Germany and that its activities made it inappropriate to peacetime conditions. The MOI was dissolved in March 1946, with its residual functions passing to the Central Office of Information (COI), a central organization providing common and specialist information services. For home publicity, the Ministry dealt with the planning of general government or interdepartmental information, and provided common services for public relations activities of other government departments. The Home Publicity division undertook three main types of campaigns: those requested by other government departments, specific regional campaigns, and those it initiated itself. Before undertaking a campaign, the MOI would ensure that propaganda was not being used as a substitute for other activities, including legislation. The General Production Division (GPD), one of the few divisions to remain in place throughout the war, undertook technical work under Edwin Embleton. The GPD often produced work in as little as a week or a fortnight, when normal commercial practice was three months. Artists were not in a reserved occupation and were liable for call up for military service along with everyone else. Many were recalled from the services to work for the Ministry in 1942, a year in which £4 million was spent on publicity, approximately a third more than in 1941. £120,000 of this was spent on posters, art and exhibitions. Of the many officially employed war artists, several, including Eric Kennington, Paul Nash and William Rothenstein, were war artists during both World Wars. Many extra designs were prepared to cope with short lead-times and the changing events of war. Through the Home intelligence Division, the MOI collected reactions to general wartime morale and, in some cases, specifically to publicity produced. Dylan Thomas, frustrated at being declared unfit to join the armed forces, contacted Sir Kenneth Clark, director of the films division of the Ministry of Information, and offered his services. Although not directly employed by the MOI, he scripted at least five films in 1942 with titles such as This Is Colour (about dye); New Towns for Old; These Are the Men; Our Country (a sentimental tour of Britain), and The Art of Conversation. A major 4 year Arts and Humanities Research Council (AHRC) funded research project on the ‘Communications History of the Ministry of Information’ began in January 2014. The project is led by Professor Simon Eliot of the School of Advanced Study at the University of London and Paul Vetch of the Department of Digital Humanities at King's College London. A project website called MOI Digital was launched on 24 June 2014. Henry Irving and Judith Townend have drawn parallels between information censorship in Britain during World War II and contemporary restrictions in reporting trials that relate to terrorism offences, most notably the case of R v Incedal and Rarmoul-Bouhadjar (2014). ↑ UK National Archives – "Ministry of Information"
↑ The National Archives (TNA), CAB 16/127 MIC 7 ‘Report of the MOI Planning Subcommittee’, 27 Jul 1936. ↑ Philip M. Taylor, ‘If War Should Come: Preparing the Fifth Arm for Total War 1935-39’, Journal of Contemporary History, Vol. 16, No. 1 (1983), pp. 32-3. ↑ TNA, CAB 16/127 MIC 7 ‘Report of the MOI Planning Subcommittee’, 27 Jul 1936. ↑ Mariel Grant, Propaganda and the Role of the State in Inter-war Britain (Oxford: Clarendon, 1994), pp. 239-41. ↑ Mariel Grant, ‘Towards a Central Office of Information: Continuity and Change in British Government Information Policy’, Journal of Contemporary History, 34:1 (1999), 49-67. ↑ Michael Stenton, ‘British Propaganda and Raision d’Etat’, European Studies Review, 10 (1980), p. 50 and Taylor, ‘If War Should Come: Preparing the Fifth Arm for Total War’, Journal of Contemporary History, 16 (1981), p. 39. ↑ TNA, CAB 16/127, MIC 16 ‘Report by Sir Stephen Tallents’, 14 Nov 1938. ↑ TNA, CAB 16/127 MIC 5th, 14 Dec 1938. ↑ Temple Willcox, ‘Projection or Publicity? Rival Concepts in the Pre-War Planning of the British Ministry of Information’, Journal of Contemporary History, 18 (1983), p. 97. ↑ Henry Irving, 'The Ministry's Launch', MOI Digital, 23 June 2014. ↑ Henry Irving, 'The Ministry at a Glance', MOI Digital, 23 June 2014. ↑ Macmillan, A Man of Law’s Tale: The Reminiscences of the Rt Hon Lord Macmillan (London: Macmillan, 1952), p. 171. ↑ Ian McLaine, Ministry of Morale: Home Front Morale and the Ministry of Information in World War II (London: Allen & Unwin, 1979), p. 36. ↑ Norman Riley, 999 and All That (London: Gollancz, 1940). ↑ James Chapman, The British at War (London: I.B. Tauris, 1998), p. 18. ↑ Ian McLaine, Ministry of Morale: Home Front Morale and the Ministry of Information in World War II (London: Allen & Unwin, 1979), p. 49. ↑ John Reith, Into the Wind (London: Hodder and Stoughton, 1949), p. 354. ↑ Duff Cooper, Old Men Forget (London: Hart Davies, 1953), pp. 267 and 269 and Reith, Into the Wind, p. 377. ↑ Jo Fox, ‘Careless Talk: Tensions within British Domestic Propaganda during the Second World War’, Journal of British Studies, 51 (2012), 936-66. ↑ TNA, INF 1/264, ‘Points from the Regions’, 22 Jul 1940. ↑ Parliamentary Debates (Commons), 5th Ser. Vol. 363, 31 Jul 1940, cc. 1215-7. ↑ John Colville, The Fringes of Power (London: Hodder and Stoughton, 1985), p. 415. 1 2 Michael Balfour, Propaganda in War (London: Routledge and Keegan Paul, 1979), p. 70. ↑ Michael Balfour, Propaganda in War (London: Routledge and Keegan Paul, 1979), p. 66. ↑ Mariel Grant, ‘Towards a Central Office of Information’, Journal of Contemporary History, 34 (1999), p. 52. ↑ Lycett, Andrew (21 June 2008). "The reluctant propagandist". The Guardian. Retrieved 2008-12-24. ↑ Irving and Townend, Henry and Judith (10 February 2016). "Censorship and National Security: Information Control in the Second World War and Present Day". History and Policy. History and Policy. Retrieved 3 July 2016.